There are numerous individuals who believe that being LDS church member and dating over the internet isn’t the things that match one another. Majority of them believe that internet and dating sites are liberal and never respect the traditional values. In fact, several people think that such websites are undermining the LDS values. However, it isn’t true because there are specially designed LDS dating websites. In a particular period of time, the members of LDS Passions have increased. LDS Passions belongs to Passions Network Inc, which includes over 250 free of charge dating sites and social network platforms. Through joining LDS Passions, you’ll also get access to all such websites. It’s a relatively new site, yet thanks to some features, LDS Passions offers members ease. LDS Passions is one of the rare sites that is completely free. Nevertheless, if you like to gain access to some websites that are part of the network you must upgrade your account and the upgrade will surely cost you some. LDS Passions is an example of new website that managed to be successful. It takes pride from having a strong community of the dedicated users who are prepared to help one another. In terms of the features, LDS Passions provides all modern features found in online dating sites. For instance, you may check who’s online. This feature enables you to talk to people that you find interesting. Moreover, there is a feature that will help you find the most popular and active profiles. Another good thing about LDS Passions is its special groups. They have made various groups where people share the same interests may gather and search for suitable partners. For instance, there are groups including Lifelong LDS, Aaronic priesthood, young single adults, former Jack Mormon, home teaching, priesthood leader, and so on. The members are encouraged to make their own groups if possible. LDS Passions is very easy to use. Its search options are effective and simple too. The members should answer whether they’re searching for females or males where they are located and the partner’s age they prefer. Moreover, they’re encouraged in sharing their weight and height. A chat option, blogs, forums, and videos can be accessed by every member. When it comes to membership, LDS Passions enable members to make their own profile for free of charge. In short, you do not need to pay for any amount of money to try some basic features of interesting LDS-focused site. LDS Passions is highly recommended to all LDS singles so those who aren’t affiliated with the religion must look some online dating site. 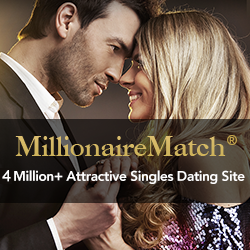 The main purpose of LDS Passions is to match the LDS singles who are searching for marriage and serious relationships.